There wasn’t much left to do on the rear spars except finish getting them ready for priming, and then riveting. The bulk of tonights work was deburring all the holes, so thats where I started off. 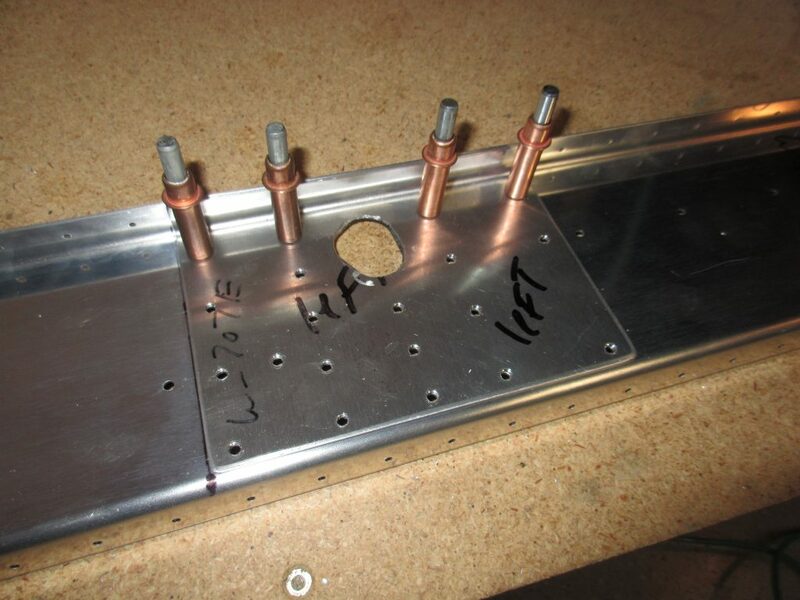 I deburred all the holes in the doubler plates (W-707E, and F), reinforcement fork (W-707G) and reinforcement doubler (W707D), and the rear spar main channel web (W-707A). Once I had both sides of all the parts deburred for the left wing, I swapped over to the right wing and did the same there. There wasn’t much to photograph for this work, since its just deburring all these holes. 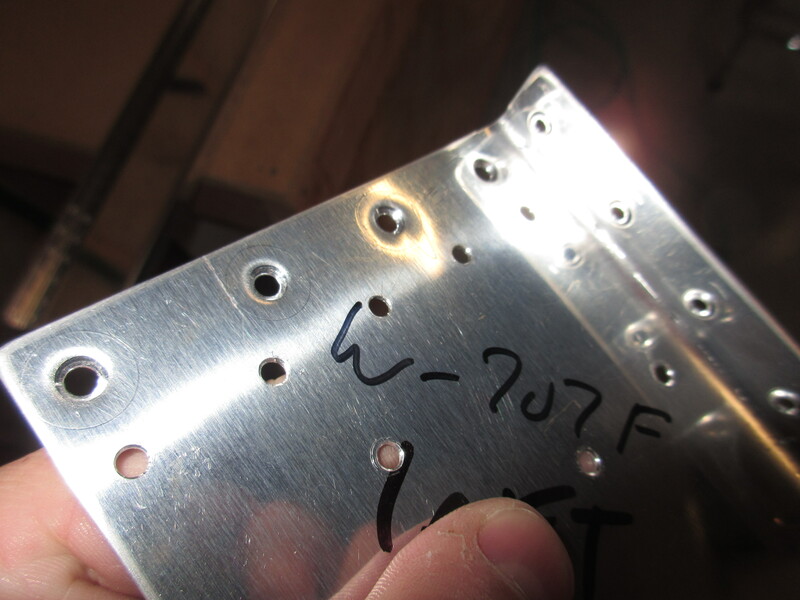 I realized I didn’t drill the holes on the flanges of the doubler plates W-707E and W-707F so I clecoe’d them to the rear spar and then match drilled using the holes in the flange as a guide. Once I had the holes drilled, I followed up by deburring them as well. I read a little bit ahead in the plans and noticed that Vans gives us some warnings of things that we should address now before we rivet the rear spar together. 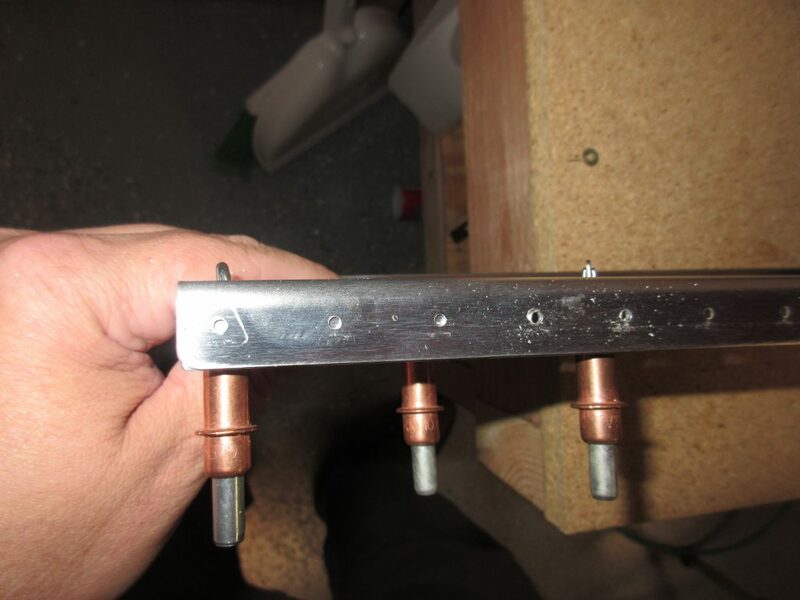 The first thing is that the outboard doubler (W-707F) needs to be countersunk for a few rivets. After looking over the plans, I see there are 4 holes on the most outboard of the rear spare that calls for AN426AD4-5 flush head rivets. Well, instead of machine countersinking this fairly thin metal, I decided to just use my DRDT-2 dimpler, since it would easily handle this thickness. I dimpled the W-707F doubler and then followed up with dimpling the rear spar channel to match. 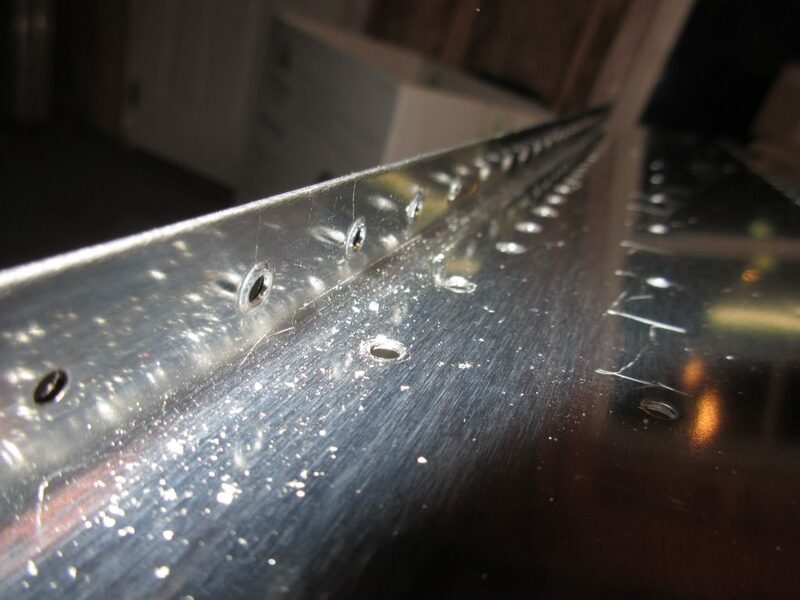 The next thing Vans warns about before riveting is that we should probably go ahead and final drill to #40 and then dimple the rear spar top flange because when we rivet on the reinforcement fork and its doubler plate, it would be difficult to dimple them afterwards. 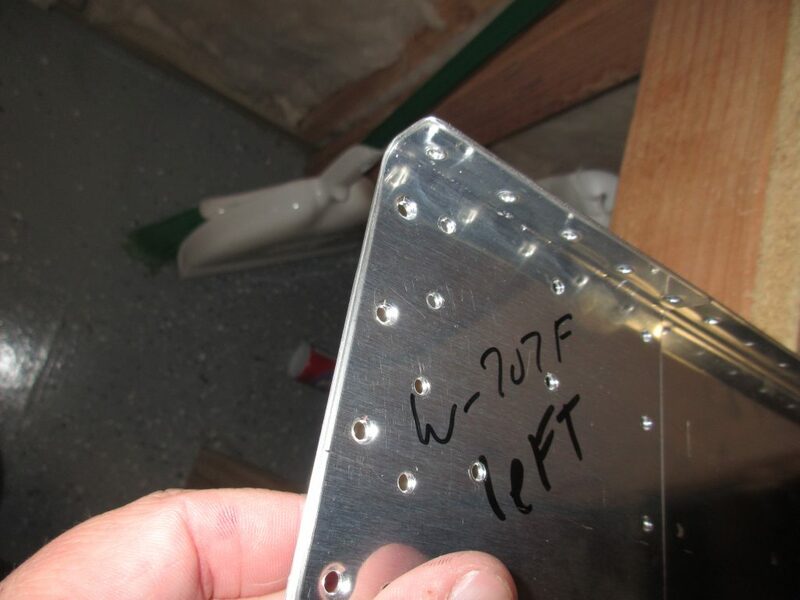 So, I broke out the drill with a #40 bit, final drilled the holes, and the used my squeezer to dimple the rear spars top flange holes all the way to the end of where the reinforcement bar would land.